News about the Framed Guidons Website is authorized for immediate release by Cindy’s Custom Framing & Antique Art, Inc. The Framed Guidons Website is the official military marketing division of Cindy’s Custom Framing & Antique Art, Inc.
Today, we are pleased to provide an overview of our efforts to implement the Framed Guidons Website as a useful marketing platform for future growth. Simply put, we are incorporating custom framing designs and framing options on the Framed Guidons Website. This is part of our marketing campaign directed at the military sector. 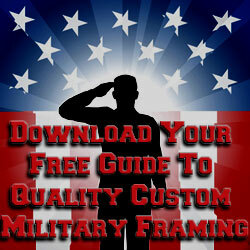 Our new marketing campaign focuses on online military picture framing customers. This means we are committed to expanding a segment of our local business into the domestic U.S. picture framing market. We believe that launching the Framed Guidons Website is the necessary first step involved in the creation of a separate website that specializes in picture framing for military customers. Cindy’s Custom Framing & Antique Art, Inc operates its “parent” site utilizing a separate market focus. The Framed Guidons Site is different in appearance, framing services, and overall product structure from the parent site. Progress for building and indexing the Framed Guidons Website is on track. We are pleased to report that progress for the first phase of marketing to military picture framing customers is well underway. The indexing of our Framed Guidons website is progressing according to our expectations. As of this date, Google has indexed 63% of the site’s content and nearly 30% of the site’s images. Presently, the site is receiving international organic search traffic for military framing-related search engine queries. The Framed Guidons Website was created specifically to function as a military marketing division of Cindy’s Custom Framing & Antique Art, Inc. 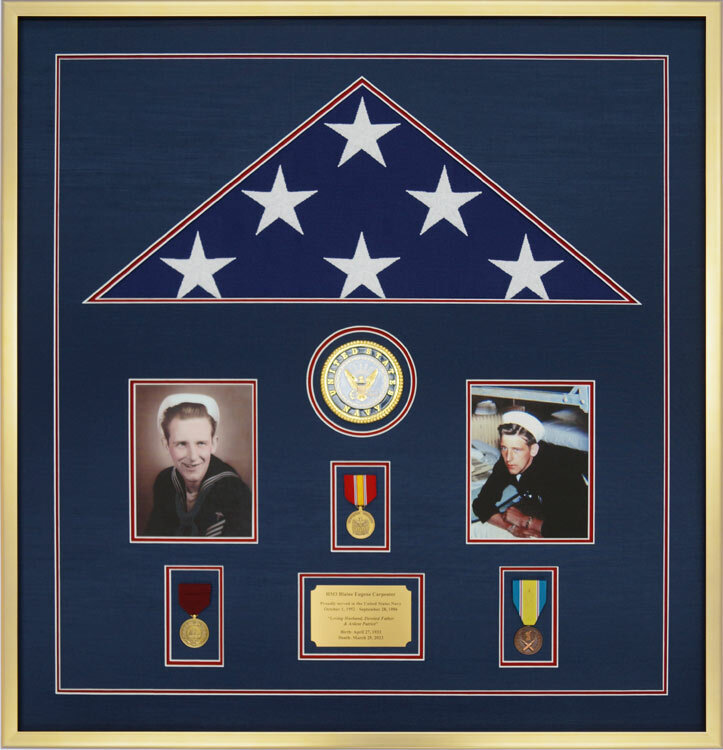 The newly created site seeks customers interested in military guidon framing, shadow boxes, medal & ribbon display cases, flag display cases, awards framing, certificate framing, diploma framing, retirement shadow boxes, burial flag displays, and military memorabilia framing. The decision to launch a new website offering services to military customers has been an evolutionary process. 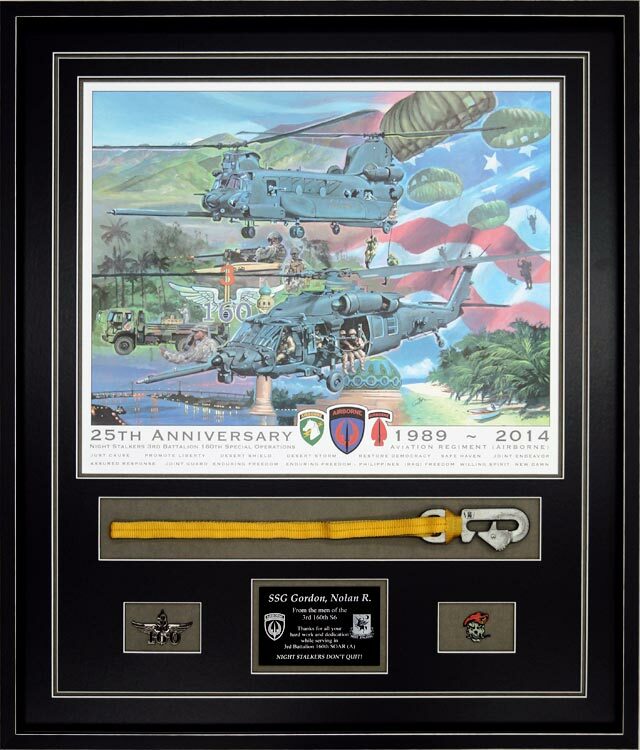 Cindy’s Custom Framing & Antique Art, Inc. is widely recognized by military customers from Savannah, Georgia; Fort Stewart, GA; Hunter Army Airfield; Richmond Hill, GA; and coastal Georgia as a reliable, talented picture framing shop. The evolution of our growth helps us define our market segments–civilian and military customers. 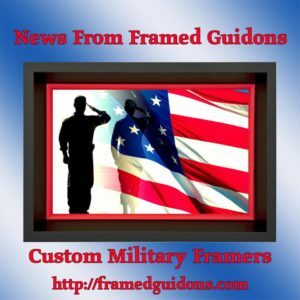 Basically, development of the Framed Guidons Website was in response to the increased demand for military framing services. The Framed Guidons Website now offers custom framing of military memorabilia, guidons, flag framing, medals framing, and more. A decision was made over a year ago to develop a website that specialized in selling products and services beyond our local geographic reach. Much planning and graphics art design have gone into the site over the last year as it was developed. 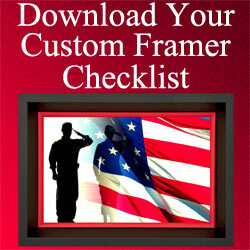 The scope of the framing services offered to our military customers varies from those offered to our civilian customers. For example, the services offered on the Framed Guidons Website for military customers generally involve larger, more complicated displays and shadow boxes. Typically, the designs and sizes are more involved than a customer would normally find at a big box frame shop or at a local picture frame shop geared toward framing flat art—prints, oil paintings, and watercolors. We believe in constant growth and development. Our decision to provide quality, conservation-grade custom framing services to the military on a separate site was a wise decision. We have spent a lot of time and effort to produce a site that caters to military customers. We have literally created thousands of images to reflect our work. But the time spent has been well worth it. I’m extremely honored to frame for our military. Cindy’s Custom Framing & Antique Art is a locally owned frame shop. It operates two e-commerce websites. It operates Cindy’s Custom Framing & Antique Art and this site. The shop is recognized for practicing the framing industry’s “conservation framing” instead of “discount” picture framing. Throughout the Framed Guidons Website, we echo the framing principles of conservation framing, quality, and great designs. You can read more about us, in our About Us Section. In addition to being locally owned, we are recognized for our ability to produce unique and interesting designs for both civilian and military picture framing customers. If we can be of assistance, please drop by our shop at 10070 Ford Avenue, Richmond Hill, GA. Also, feel free to call us at 1-912-756-2781 or use our contact form.